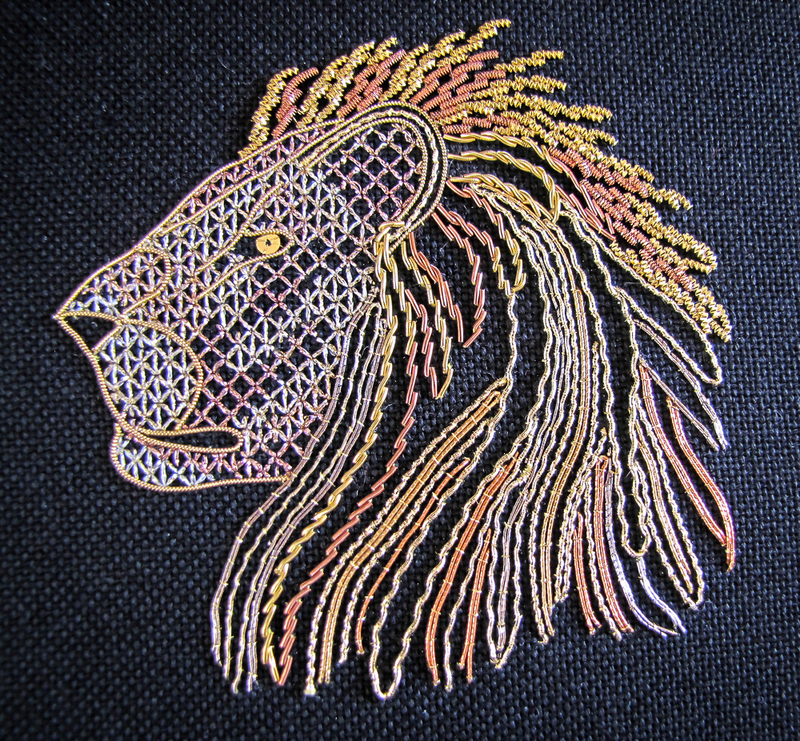 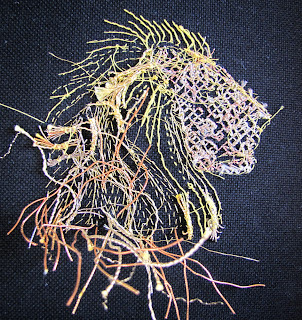 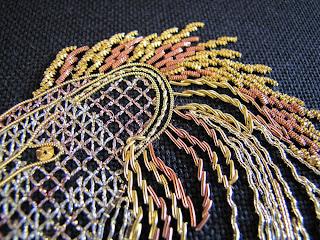 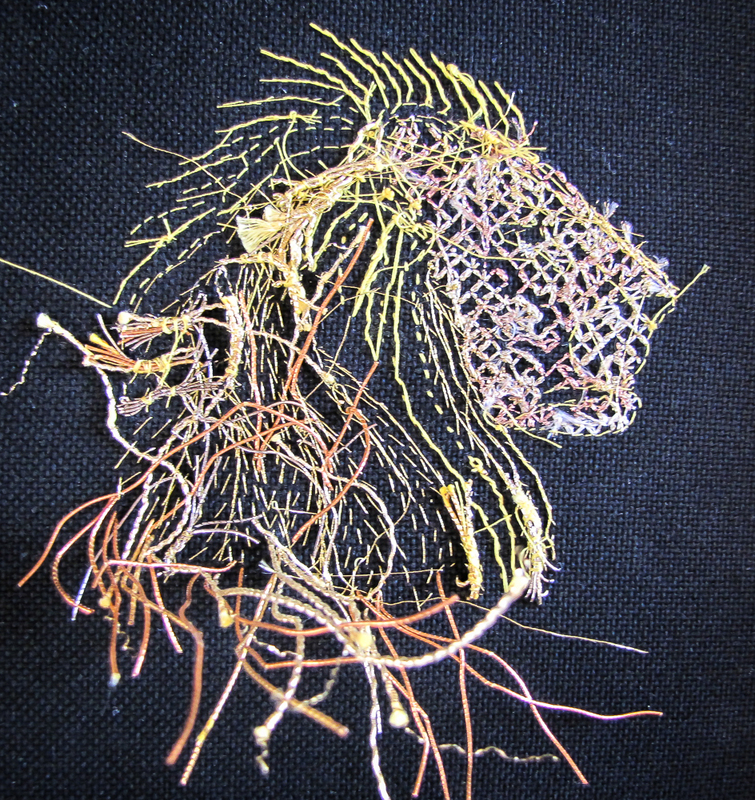 I really, really enjoyed stitching Tanja Berlin's Goldwork Lion. 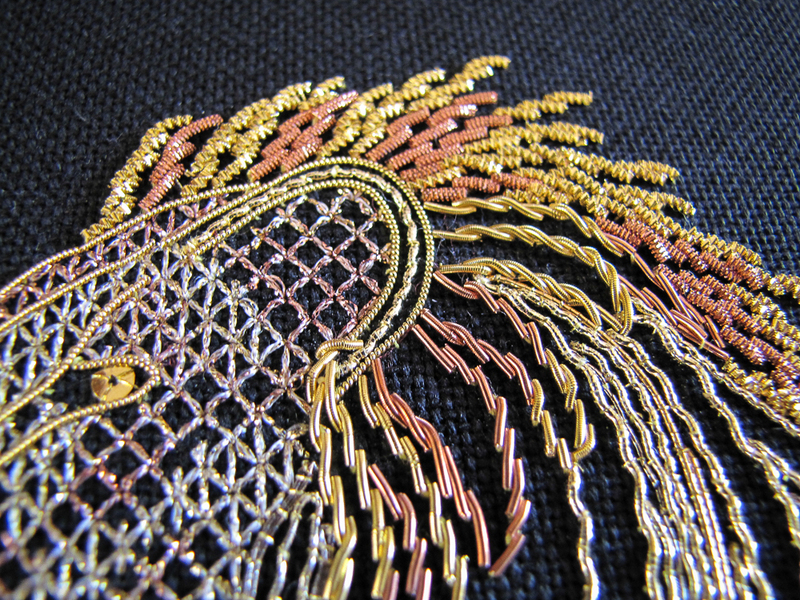 This was my first attempt at goldwork embroidery and I am very pleased with the result. 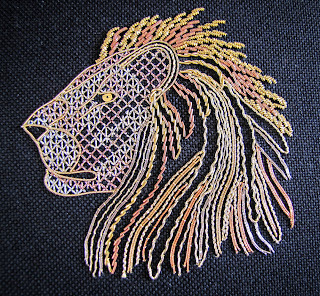 Daughter #2 who had never asked for a piece of anything I've stitched asked if she could have it so I'm doubly happy! 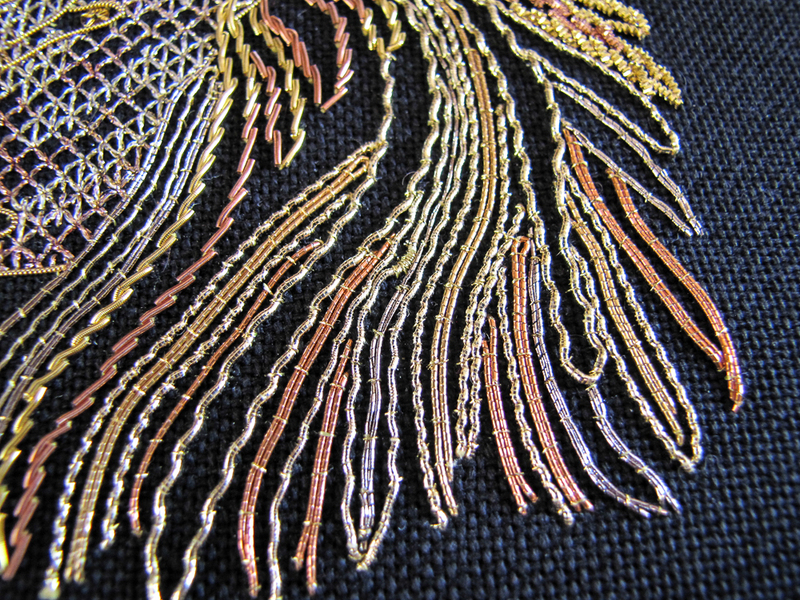 Here is a close-up view of the gold and copper purl purls. They certainly were neat to work with. 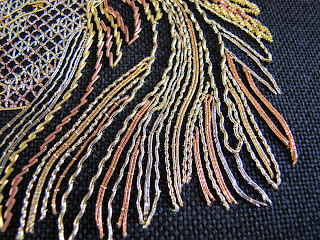 Close-up of all the different couched threads. 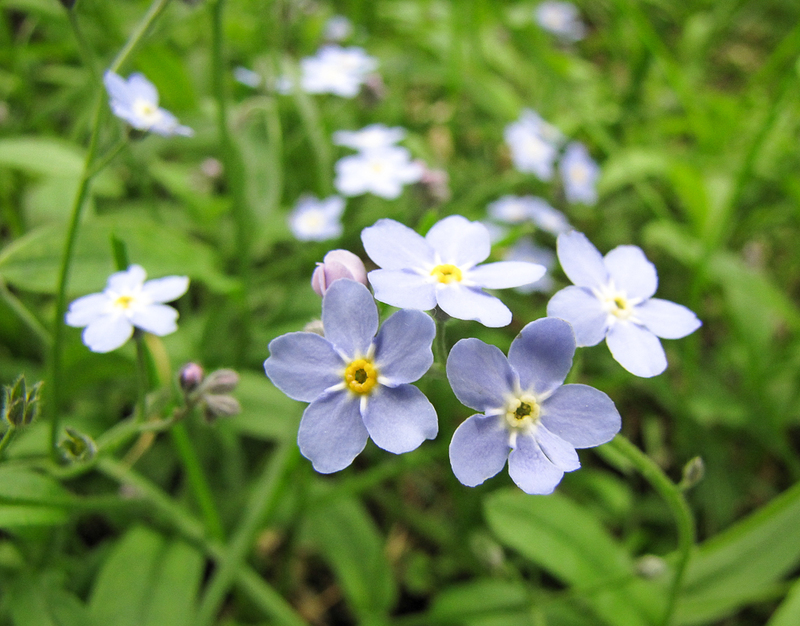 Forget-Me-Nots are one of my very favourite flowers and they are all in bloom right now and so I had to share a picture with you. 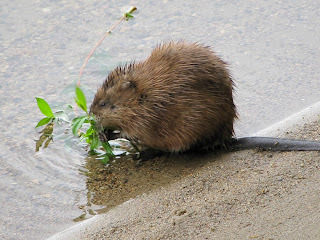 A hungry muskrat paid a call and I was able to get a picture of him as he breakfasted on willow leaves.